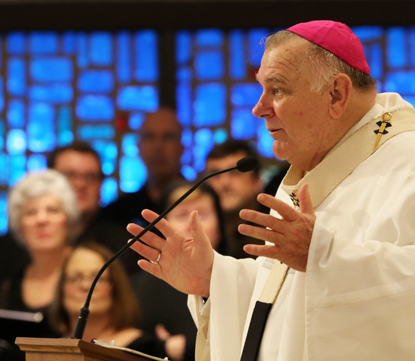 MIAMI (CNS) — The crisis the Catholic Church is facing is not “a crisis of faith” or “mainly about a crisis of sexual abuse by clergy,” but is “a crisis of leadership,” Miami Archbishop Thomas G. Wenski said in a Sept. 18 homily. The archbishop preached to all of Miami’s archdiocesan priests during vespers at the start of their annual convocation Sept. 18-20. Archbishop Wenski told the priests he hoped they have been “reading the Office of Readings these days,” because if so they would be reading from St. Augustine’s sermon on pastors.